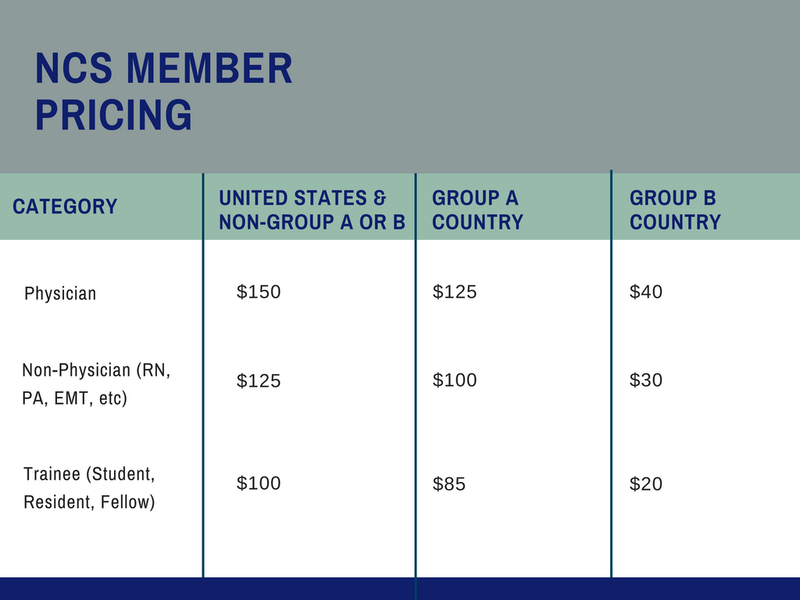 Neurocritical Care ON CALL is proud to offer tiered pricing for multi-disciplinary members of the care team, as well as World Bank Group A and B countries. Purchase a subscription on your own or make a bulk purchase to qualify for a discount. Subscriptions for unlimited institution-wide access coming in 2019! Each purchase grants access to the site for one full calendar year from the date of purchase. Click here to purchase today! Not an NCS member yet? Click here to become a member and qualify for an additional 10% discount off the already reduced individual member subscription pricing! If you already joined or renewed your NCS membership in 2018, e-mail education@neurocriticalcare.org to receive a code for 10% off of your purchase. This promotion will end on November 30th, 2018. *Click here to purchase an individual subscription. *Click here to view a list of World Bank Group A and B countries. *Click here to complete a bulk purchase. *Once payment is submitted the purchaser will receive an access code and instructions for distribution to their group within 48 business hours. Questions about purchasing Neurocritical Care ON CALL can be directed to education@neurocriticalcare.org. Click here to view a list of World Bank Group A and B countries.